Yes SAP S/4HANA promises to deliver a simplified digital enterprise for all its users, but getting there will not be easy. Are you ready to start your digital transformation journey? 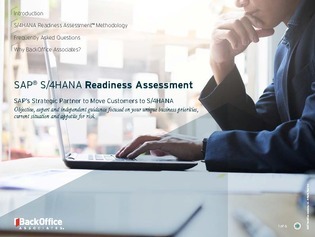 Read this readiness basement to create a clear roadmap to SAP S/4HANA adoption based on your individual business needs, goals, and investments. Then, learn about an automated service offering that can help make your migration as painless as possible.